After learning cello and getting closer to early music through the Hungarian ensemble Musica Historica Budapest, Julia studied the viol in Bremen/Germany with Sarah Cunningham and Hille Perl. 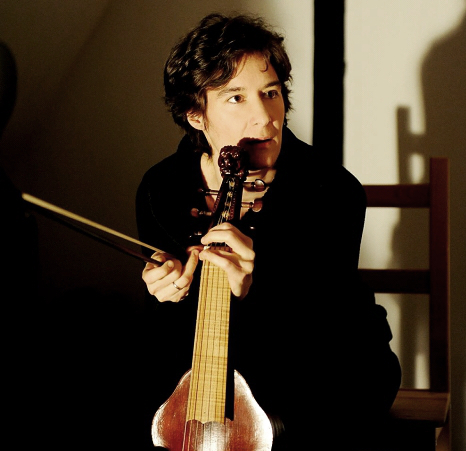 She has been performing and recording with eminent early musicians and ensembles since then such as: Sirius Viols - Hille Perl, Weser Renaissance - Manfred Cordes, Musica Fiata Köln-Roland Wilson, Dresdner Kammerchor - Hans-Christoph Rademann, Bach Akademie Stuttgart-Helmuth Rilling and her own viol consort: OrlandoViols. She is an experienced consort and continuo player. “Dinner for two” is a duo program with viol player Juliane Laake with whom she has also established regular viol courses in Potsdam. Julia lives in Oldenburg/North Germany where she teaches and coaches consort classes. She enjoyes and appreciates playing with the European Baroque Orchestra Le Chardon where she playes solo parties from Bach's passions on the viol and continuo on the cello.